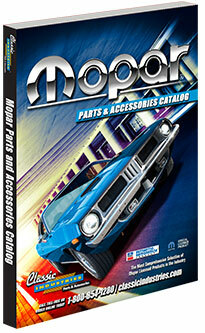 Restoration and Performance Parts and Accessories for 1960-1976 Dodge and Plymouth Mopar models. 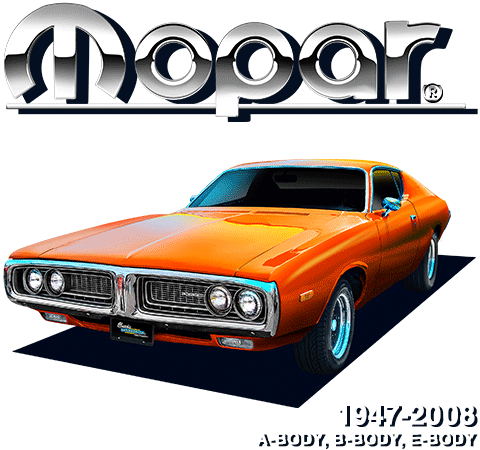 Whether it's a Charger or a Challenger, Barracuda or Belvedere, Fury or Polara, Dart or Daytona, Road Runner or Satellite, Classic Industries® has the parts for your 1960-76 Mopar A-Body, B-Body or E-Body! Classic Industries® offers the largest selection of officially licensed Mopar Authentic Restoration products in the industry! Our expansive inventory includes just about everything needed to return most 1960-1976 Dodge and Plymouth A, B and E-body vehicles to showroom condition inside and out, from the body to the engine bay to the interior upholstery with both Mopar Authentic Restoration products and the highest quality factory-style replacement parts on the market. Restoration isn't all we do, either. We also offer performance, modernization and restyling parts to suit nearly any build, whether it's showroom stock, restomod, drag-strip hauler or pro-touring canyon carver. If you're looking for parts for a Challenger, Charger, 'Cuda, Duster, Dart or any 1960-76 A, B or E-Body, you've come to the right place.